There are two major variants of Corolla cars in Pakistan, XLi and GLI. Here GLI is a high-end car with certain advanced features which are absent in its low-end twin XLI. The GLI has further two variants, differing from each other primarily on the basis of the mode of transmission. 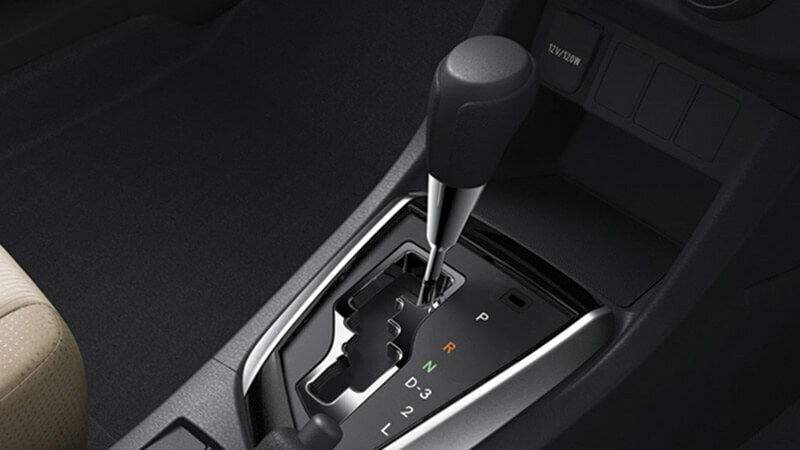 One version offers manual while the other automatic transmission mechanism. 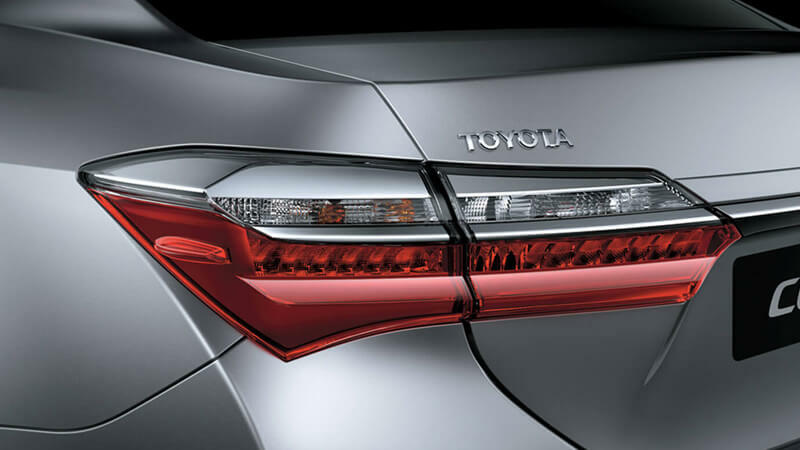 In this way, the new Toyota Corolla 1.3 GLI Automatic becomes the best Corolla car in the country. 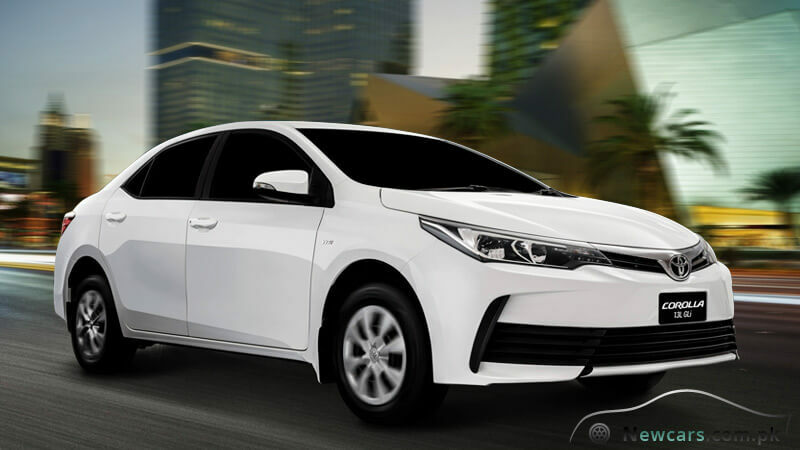 As obvious from the specs standards, the Toyota Corolla GLI 2018 price in Pakistan is higher than its siblings, the XLI and GLI manual. What makes GLI automatic stand out in the crowd? 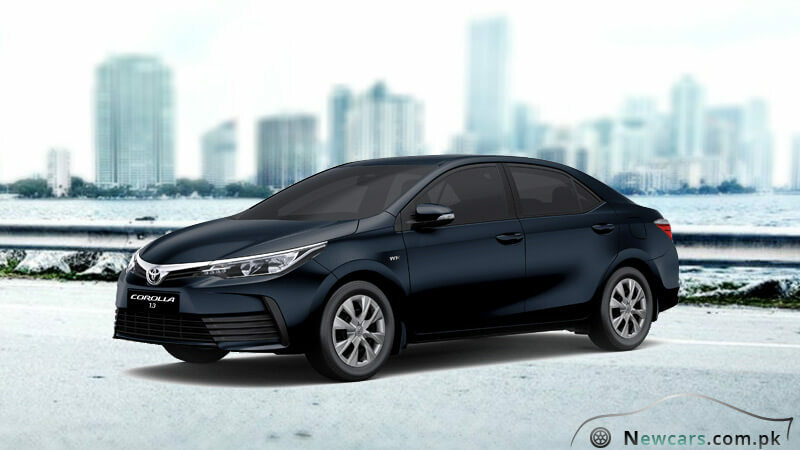 Beautified exterior, luxurious interior and incredible machine performance make Corolla 1.3 GLI the best Corollas sedan. With its feature-rich interior, the car is ready to compete with the costlier brands like Civic from the house of Honda. 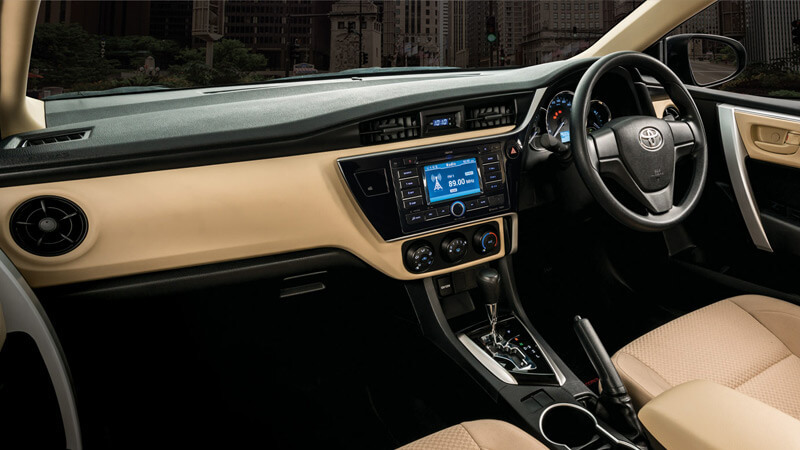 The tech-loaded interior of the car offers all the comfort and convenience you may expect from such a car. 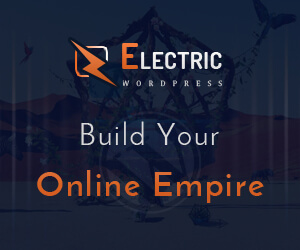 Here, in return for nearly twenty lac rupees Toyota Corolla GLI price in Pakistan, you get the automatic transmission system, powered by the ECT (Electronic Control Transmission) technology. The flaxen interior design leaves a pleasing effect on the eyes of the viewers. 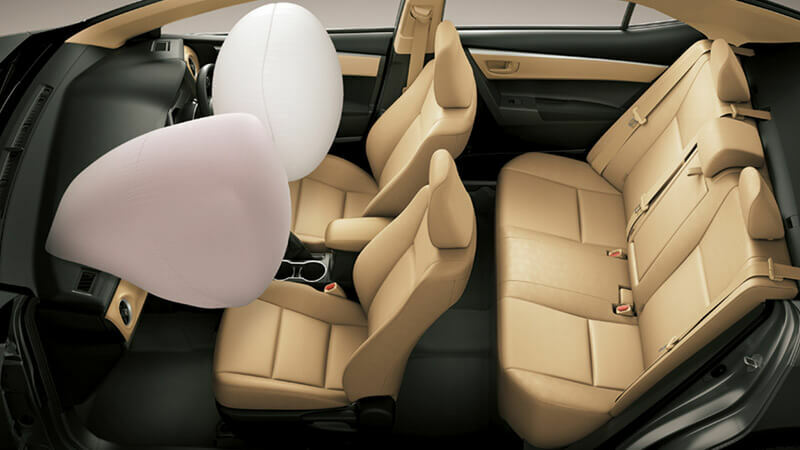 The soft-touch padding and high quality material used on the seats are meant for to provide tiredness-free travelling experience especially on the long journeys. The ‘Tilt and Telescope’ steering wheel is to make the driving easier and enjoyable. The passengers have all the stuff to keep them entertained while on the way. 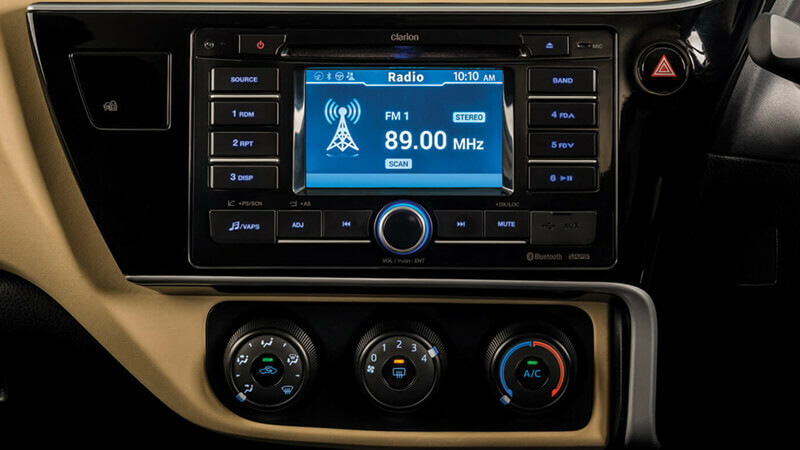 The in-dash audio panel is powered by the advanced Virtual Acoustic Positioning System (VAPS) for better control and quality. Near to it, you will find the sophisticated Multi Info Display system. It is to keep you stay updated about different performance parameters of the car in an interactive manner. Available in both the automatic and manual versions, the Power Windows technology not only makes the locking and unlocking of the windows just the matter of the push of a button but also ensure the safety and security of your car through a remote-control mechanism. Meanwhile, you also get rid of the hand-turned crank handle. 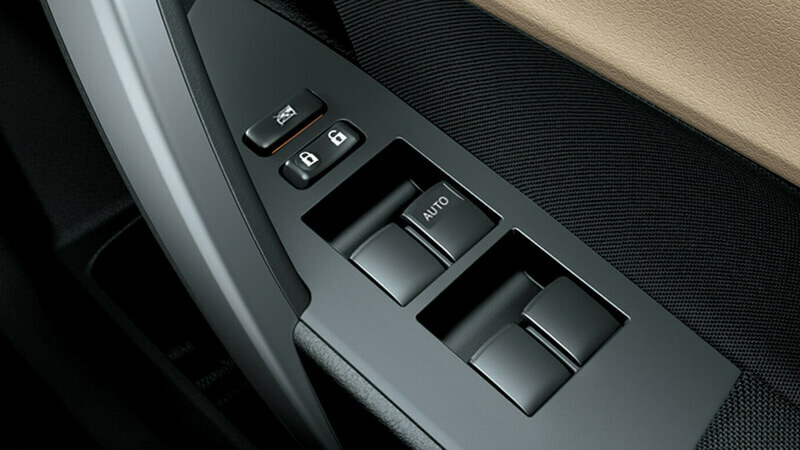 The Power Window feature also allows you to raise or lower the car door glass just by pressing a button or switch. The Power Mirror Control, on the other hand, gives you the effort-free electrical means to adjust the side-view mirror vertically or horizontally while sitting inside the car. 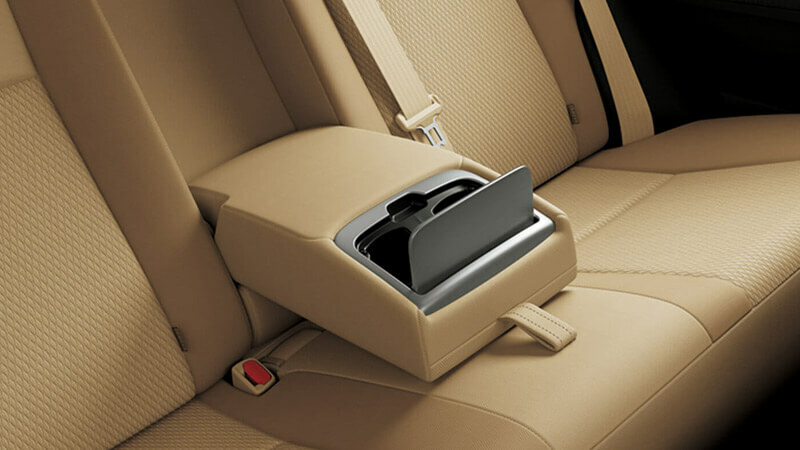 Other advanced features exclusive to the GLI include rear armrest with cup holders and wireless key with immobilizer. 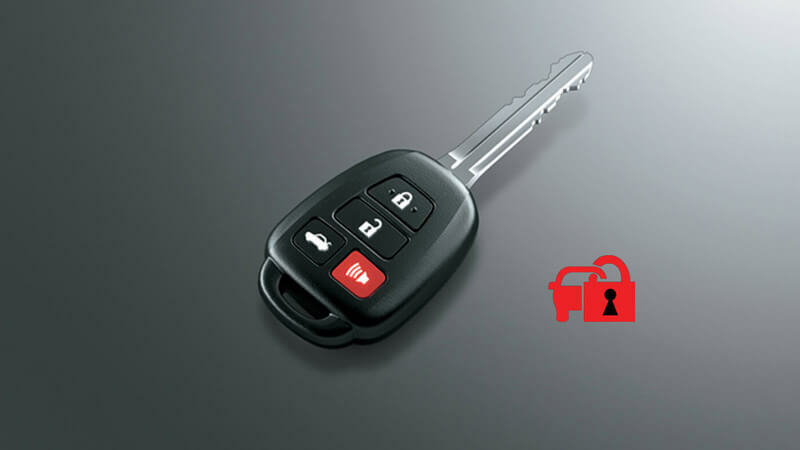 Apart from being a sophisticated tool for top-notch security and convenience, the wireless key has also become a fashion for the elite class car users. Holding a wireless key renders an air of style and confidence. With such a wonderful facility at hand, you can remotely close and open the doors of the car from a considerable distance. It means, if you forgot to lock the doors, do it remotely and with full confidence. The built-in ‘immobilizer’ functionality is an excellent measure against vehicle theft. It prevents the machine from starting unless the right key is used. Meanwhile, the possibility of hot wiring is also eliminated. Other options associated with the wireless key include Trunk Opener and the Panic Button. Using the panic button, you can quickly summon for help in case of an emergency. 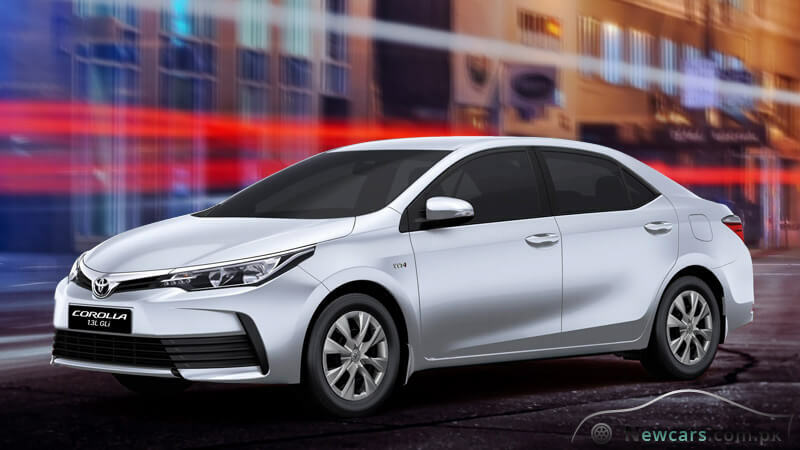 Overall, if not perfect, the new Toyota Corolla GLI 2018 is a near-perfect luxury car for the upper middle class buyers who want to enjoy style along with cost-efficiency and fuel economy.